Google Android is talk of the town in Competitionopolis. While the decision in full has not yet been published by the European Commission, it is obvious that it will shape our understanding of Art. 102 TFEU. D’Kart asked Anna Huttenlauch to share her thoughts on the legal aspects known so far of the Commission’s pre-summer-break-mega-case 2018, and – lucky us! – she accepted to comment. One year after the European Commission fined Google €2.4 billion for abusing its dominance in the Google Shopping case, the company once again faces another record-breaking fine of €4.34 billion. 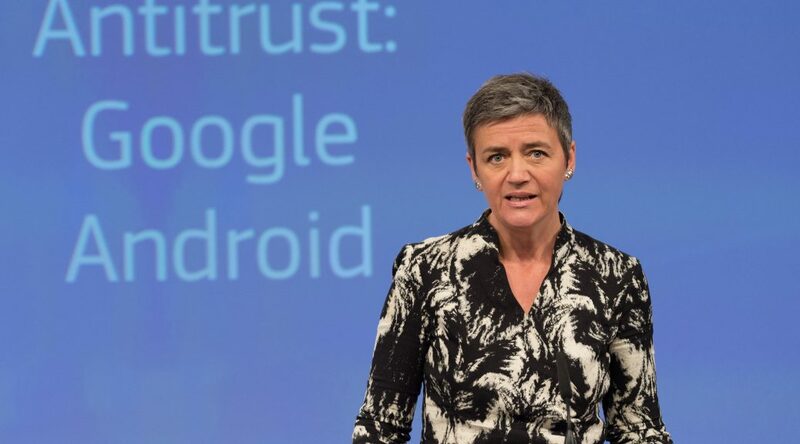 In a much-anticipated decision, the EU antitrust watchdog accused Google last week of having used the mobile operating system Android “as a vehicle to cement the dominance of its search engine”. …it bears mentioning that, technically, the case is not about Google’s market power in search, much less about an abuse thereof. It seems counterintuitive at first sight: While Google is arguably best known for the dominance of its search engine, here, the Commission alleges an abuse of power in markets related to Android – aimed at channelling end-users towards Google Search. What about Apple and its mobile operating system iOS then?, one might wonder. Does the Commission – as critics of the decision, such as Google’s CEO Sundar Pichai, have argued – ignore competition between Android phones and Apple devices? And what sense does it make for Google to use Android to help its (dominant) search engine succeed? By outlining its legal and economic rationale as well as some background facts in the press release, the Commission offers at least some explanations for its allegation – more to follow when the full decision is published. So let’s look at these preliminary explanations in a little more detail. Google’s “flagship product” is the famous search engine Google Search, which accounts for most of the company’s revenues. In very simplistic terms, Google makes money by delivering advertising to users who view the results of their search query. This business model has been around for more than ten years. In its early stages, Microsoft dominated the desktop operating system market but apparently left enough room for Google to succeed in (desktop) search. With the advent of mobile Internet, Google had to fear losing market share to its competitors because mobile ecosystems appeared much less permeable – especially that of Microsoft, which was considered a natural candidate for becoming the market leader in mobile devices just as it was in fixed ones. Therefore, Google must have been concerned about being unable to reach end-users with its search engine. Considering the steep increase in mobile’s importance for consumer interaction, this was a major threat to its business model, indeed. Google’s reaction to this threat provides the foundation of the Commission’s case. In 2005, the company decided to acquire the original developer of the mobile operating system Android. Today, it runs Android as an open-source model, making the source code for the system’s basic features openly accessible to third parties who can develop their own alternative versions of Android on that basis (so-called Android forks). However, Google’s proprietary apps and services running on Android are not freely accessible – including Google Search, Google’s app store Play, its browser Chrome as well as Maps and Gmail. Manufacturers of handheld devices who want to include these apps and services in their product offering to end-users have to license them from Google. More than a decade after Google‘s acquisition of Android and following substantial investments of several billions, the mobile operating system supports 80% of mobile devices in Europe and worldwide today, according to the Commission. This setup ultimately allowed Google to continue monetizing its search engine within the mobile realm. Namely, it allowed Google to keep third parties, such as Microsoft, out of its direct relationship with as many end-users as possible. All Google had to do was to attach its search engine to the widely distributed Android operating system and its most popular apps. Google did this by imposing three kinds of restrictions on device manufacturers and mobile network operators (the latter can often also decide which apps and services are pre-installed on mobile devices). Enter the Commission. While emphasizing in the press release that it “does not question the open-source model or the Android operating system as such”, the Commission objects to these three contractual restrictions and considers them an infringement of Art. 102 TFEU. (3) app stores for the Android mobile operating system, with more than 90% of Android apps being downloaded through the Google Play store. All of these markets are characterized, according to the Commission, by high entry barriers because of network and scale effects. All in all, as in previous decisions, the Commission rejects Google’s longstanding narrative of competition being “but one click away”. Maybe disappointingly to some who had hoped the Google Android case would establish entirely new approaches to competition law in the digital economy, the Commission applied a rather conventional theory of harm evolving around the concepts of tying and rebates. Firstly, the Commission considers it illegal to require from mobile device manufacturers to pre-install the Google Search and Chrome apps as a condition for licensing Google Play. The app store is considered a „must have“ because end-users expect it to be included in device offerings, particularly since they cannot legally acquire it themselves. Once Google Search is (pre-)installed, the Commission assumes – based on widespread status quo bias – that most users will actually stick with it instead of switching to different search engines. Thus, the tie allows Google to effectively distribute its search engine across Android device users and foreclose competitors. Ultimately, this allows Google to keep monetizing its search engine and expand the business model around Google Search into the mobile realm. Secondly, the Commission objects to payments Google has made to certain large manufacturers and mobile network operators in exchange for exclusivity commitments regarding Google Search. Such incentives can obviously have similar foreclosure effects on rivals. Thirdly, the Commission considers it an infringement that Google prevented manufacturers wishing to pre-install proprietary Google apps from developing or selling devices running on alternative (fork) versions of Android. This was basically a way for Google to ensure that the practices just described would not to be circumvented. As a result of these practices, the Commission concludes, Google “denied rival search engines the possibility to compete on the merits” and, ultimately, “harmed competition and further innovation in the wider mobile space, beyond just internet search”. The Commission appeared little impressed with the various efficiency claims Google brought forward. In particular, it dismissed the argument that the conduct was necessary for Google to recoup and further incentivize investments in building Android in order to offer additional, free choice to consumers. In this respect, the Commission pointed out that Google Play alone accounts for considerable revenues and that data collected through Android is valuable to the search business even without the tying practices. Of the remedies imposed on Google, the record-breaking fine surely attracts most media attention. Presumably having anticipated such attention, and wanting to minimize implications for EU-US trade relations, the Commission made sure to emphasize in its press release that it strictly adhered to its 2006 fining guidelines when calculating the fine based on duration and gravity of the violation as well as on Google’s revenues. To Google, however, the obligation to effectively change its business model, is even more dramatic. The company has 90 days to present a workable solution that provides a “reasonable, fair and objective system” around Android and its proprietary apps and services in compliance with EU competition law. Many commentators understand this as an outright rejection of the combination of an open-source operating system and a search engine as a way of monetizing search advertisements in the mobile realm. As Sundar Pichai put it, the decision might “upset the careful balance” this business model has struck. Various modifications to the model have been proposed, including disbanding the open-source idea altogether and financing Android through licensing fees. In this regard, the decision is remarkable as it not only calls for a specific practice to be ceased, but practically requires changes to the business strategy a company has adopted. This may have consequences beyond the individual case and may actually have an impact on the online ecosystem as a whole. However, given the pace and dynamics at which the digital economy is evolving, the remedies may come far too late to actually still have an effect on Google’s entrenched dominance. 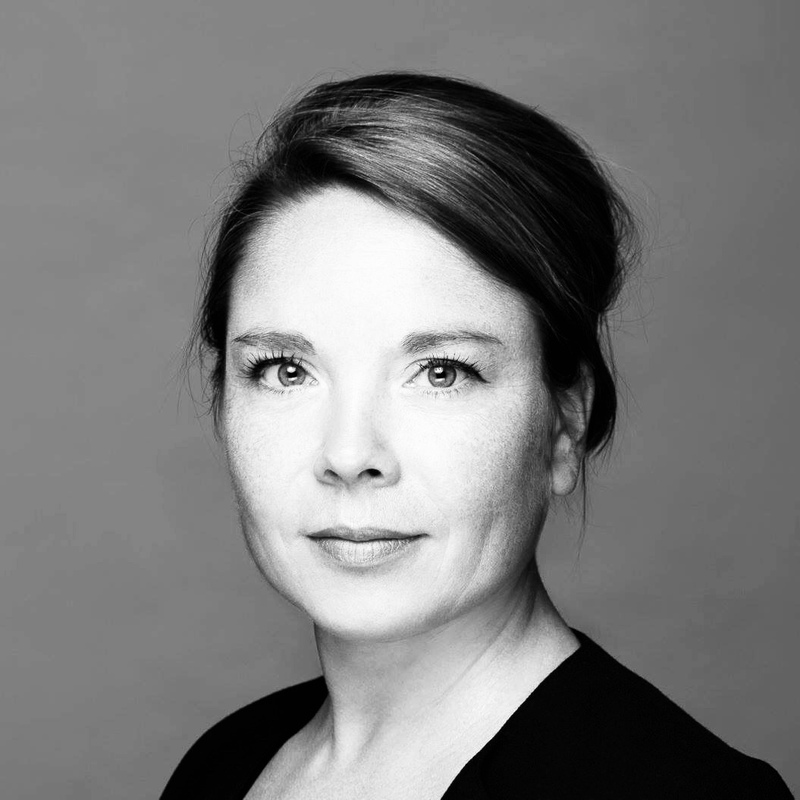 Dr Anna Blume Huttenlauch, LL.M. (NYU) is a partner with Blomstein. D’Kart is open for guest contributions. We are happy to accept entries by e-mail to team at d-kart.de. However, we reserve the right to make editorial decisions.